Tongkat ali root has a long past of enhancing your libido. The roots are found in the jungles throughout Malaysia and Southeast Asia. Our Tongkat Ali Coffee is made from selected coffee beans, sugar, non-dairy creamer and Tongkat Ali root. Tongkat has been know to promote energy, vitality, and improve resistance. Drink a rich, full bodied great tasting cup of Tongkat ali coffee anytime, anywhere! This is another one of your great tasting and stimulating coffee. We appreciate wonderful coffee with great taste. 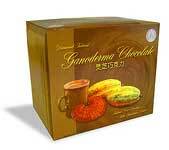 I thought this product would be comparable to Ganocafe tongkat ali coffee, which actually has ganoderma lucidium in it. I LOVE THIS COFFEE, BECAUSE I DON’T HAVE TO MAKE A WHOLE POT AND THEN TROW THE REST AWAY. This coffee is excellent before going to the gym. It gives enough energy to complete a great workout. Delicious and very helpful for energy and vitality. I love the coffee because it is healthy for my body. Since I been using the coffee I have not had head ache or been nervous after drinking the coffee. Great product! I work a day and a night job and I drink this coffee in the morning and at night and it gives me the energy I need to get through 16 hours. Regular coffee does not compare because it hurts my stomach and keeps me awake when I don’t want to be. Tongkat Ali Coffee lets me go to sleep when I’m ready and doesn’t upset my stomach. I have been using this product for years and it is always fresh and great tasting! No side effects, ever! 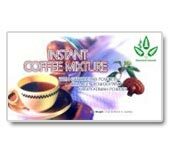 Tongkat Ali Coffee is perfect for me because I work two jobs and I need the boost that this product gives me. I drink a cup in the morning and it gets me started. At night I drink it at about 10 pm and I am alert until my shift ends at midnight on my second job. The great thing about it is when I get ready to go to sleep it does not keep me awake. It lets me fall asleep with out any buzz or high. I have been using this product of years and it has never failed me! I have been using this product for many years and it is always fresh. I have never been disappointed with the taste of this product and I know it will always give me what I am looking for. I use it in the morning to perk me up instead of regular coffee which upsets my stomach due to my lactose intolerance. I use it in the evening between 8 and 10 PM to keep me alert on my second job. It has never let me down and it has never given me any unwanted side effects. I order this product religiously and it is always fresh, flavorful, and invigorating! I drink it first thing in the morning and, since I work two 8 hour jobs, I drink it anywhere from 8 pm to 10 pm at night. It keeps me alert until the end of my shift and I can drink it with confidence because I don’t have to worry about it keeping me awake when I get off at midnight. It is convenient to carry and easy to open and use. I stand by this product because it gives me what I want and it is always consistent. Thank you! OMG!!! My fiance and I both love your products. We personally enjoy the taste and benefit of the Tongkat Ali Coffee, for him, and the Katcip Fatimah, for me. I also have enjoy the Doctor Millers Holy Tea. Love, Love, Love. 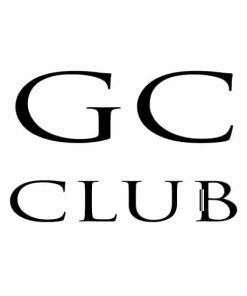 I also recommend your club for new comers in order to try all the different varieties to detemine what is best for them. Thank you for offering this product. Your service is also awesome. I also order on Friday and we can also expect our product on Monday. Thank you again. God bless. Love this product! It has/does everything I ask of it including great taste, keeps me alert, great value, always fresh, convenient, nourishing, easy to transport. When I order it is always shipped and received in a timely manner. I am always satisfied with this product and will continue to use it. Thanks! GREAT product! Every time I order this product I am never disappointed and pleasantly surprised. It is always fresh and always exceeds my expectations. I work two jobs and I use it religiously to pick me up and refresh me so that I can stay alert. My second job is as a Security Officer so I need to be alert and vigilant to perform my duties at my best. It does not make me nervous or agitated but it does keep me awake and alert. I have tried Nodoz, coffee, sodas and other alertness enhancing products but nothing is as effective as Tongkat Ali Coffee. I can drink it anytime and when I lay down to go to sleep it does not keep me awake. I would gladly recommend this product to anyone! 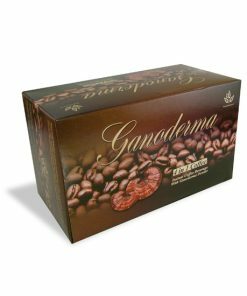 Dear Ganoderma Coffee, thank you for a wonderful tasting coffee with amazing health benefits!! I have been drinking the Ganoderma 4 in 1 and it gives me an energy boost and improved memory, truly a blessing! Also, I have been drinking the Tongkat Ali coffee and it has been a miracle to me! I recently had a cyst on my ovary and had to have my ovary surgically removed. After surgery my mojo was lacking and Tongkat Ali has been a tremendous help in restoring the romance back into my life, I feel 10 years younger and my husband and I are like newly weds now! So many great health benefits come from your products and the varieties of coffee taste incredible. Best cup of coffee I ever had!! Thank you! 🙂 Please don’t change a thing! EXCELLENT PRODUCT, TIMELY DELIVERY, AND OUTSTANDING CUSTOMER SERVICE. This coffee has a rich and great taste. Love it. The value is worth the price. I am a loyal customer of GanodermaCoffee.com and have been purchasing their Tongkat Ali 4-in-1 Coffee for sometime now and I love it! Because it’s a reduced caffeine drink, I can enjoy it throughout the day without the worry of losing sleep. It gives me just the right boost to make it through a long meeting, proofreading long documents, or just about any task that requires concentration. I think it’s reasonably priced and their service has always been top-notch! I’d recommend GanodermaCoffee.com to anyone who asked! I like the Tongkat Ali Coffee for its flavor and boost it gives me during the day when I need a pick me up that is not too strong, but still has the boost to get me through my day. 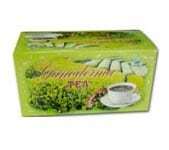 I also like the fact that it has the benefits of Tongkat Ali and the Ganoderma. It’s a little bit high on the price per cup, so as long as it stays reasonable, I’ll plan on buying it. I love this product! However, somethings seem to have changed from the last order. First of all, you changed the packaging of the individual packets and the box containing them. The packets are harder to acceess and the box will not stay secure. Secondly, I have been buying this coffee for a few years now and this is the worst batch I’ve ever had. Some of the servings are bitter and there is a white film that looks like something has spoiled. This product has been a life saver for me because I work two jobs and this coffee really picks me up. I do not see an expiration date of the packaging so I gather there is not one. I am deeply disappointed in this order and I truly hope my next order will be better. Thanks. Taste is good but a little too much non-dairy cream. Overall I liked it. I noticed a pretty good kick of energy. Don’t drink it too late in the evening. I’ve been staying up til midnight watching tv. I decided to drink it only when I need a boost of energy. Perfect for Monday morning when going back to work or for days when you have alot of stuff to get done around the house. I love this coffee! I find perked coffees bother me and make me jittery. I find I drink far too much perked coffee because it dosnt satisfy the craving for a good cup of coffee. I can have one cup of this coffee and my craving is gone and I’m full. I do not get a headache from drinking this like I do with perked coffees. Wonderful coffee! This is OK and takes some time to get used to. I will use it for health benefits and will certainly order it again. I did not like taste of this one at all. Did not notice any change in energy at all or any changes of any kind going back to the original. This coffee has a distinctful taste than the other Ganoderma coffees. It truly does give you energy. I work 2 jobs and I only drink one cup of this energizing coffee and that’s all I need to keep me going all day. It is good to know that this coffee has a lot of health benefits. Thank you for having this coffee along with the other wonderful Ganoderman coffees. I have used Tongkat Ali from other suppliers about 8 years ago and had quite good results in male stamina. I am now 63 and have had a couple of bouts with enlarged prostate and the problems that occur with that. Taking suppliments to help relax the prostate and full elimination has worked well for me, but when I drank the Tongkat Ali it caused a reversal of what the suppliments are doing and an enlargement of the prostate glan, thus hindering complete elimination. I think this is a wonderful product for the younger men, and woman. It will put a sizzle in your emotions and affection for each other, but I do caution those who are struggling with several trips to the bathroom at night.